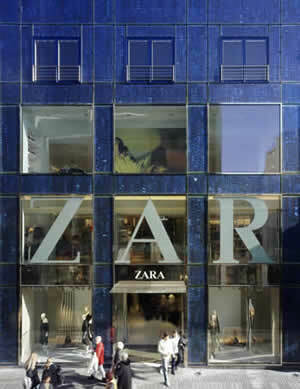 Summary At architects option the fashion boutique Zara decided to design it’s façade for its new office with blue glimmering silicon crystals instead of polished marble. As an aesthetic photovoltaic façade this technical interesting solar system causes a stir for the pedestrians in the centre of Cologne and sensitises to the possibilities of the solar technology. The fascinating façade is characterised by a clear structure. The integration succeeded excellently.